New month and New Android Apps. It’s time to round-up the best free Android apps for Android Smartphones and Tablets. Many new apps and games have been released from some top developers of Android apps. Most of the apps and games are free to download, and some are from the freemium category.This list of best Android apps for this month includes Google Drive Apps, and more. Let’s see the Best New Android Apps for this month. It includes free Android Apps and Free Apps with In-App-Purchases. In the Docs App, Create new documents or open and edit any that you started on the web or another device. Don’t worry about losing your work, everything is automatically saved when you type. In the Sheets app, You can Format cells, enter/sort data, perform various sheet operations, and more. 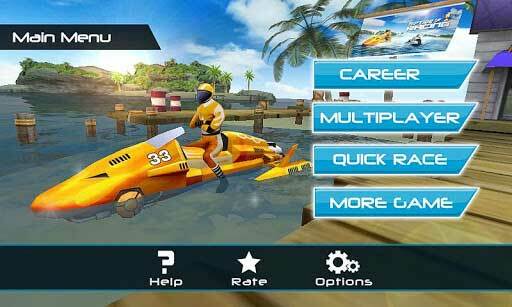 Powerboat Racing is the one of the best critically-acclaimed and most popular 3D motorboat racing game. It offers the excellent gameplay with stunning visuals and head to head multiplayer competition. Game features 8 stages of 40+ challenging levels in Career mode. You can feel the Stunning 3D graphics and smooth & realistic boat handling experience. CSI: Hidden Crimes is a Hidden Object Game where you’ll find the atmosphere of the world famous TV show at the tip of your fingers. Team up with the CSI: Crime Scene Investigation crew to fight crime in Las Vegas! Discover the Crom scene and analyse that and find the clues then nab the criminal and get the rewards. At Babylon, they are building world’s first integrated digital healthcare system combining the latest advances in technology with modern medicine. This app is come under the health and Life Style Android Apps category. Using this app, You can book an appointment in seconds with a highly experienced and specialist doctor. If a prescription is necessary, you can have your medicine delivered to your home or collected from a pharmacy local to you. If you want to take any medical test, the app will refer you to the specialists around you within the 30 minutes drive. This app is currently available for UK users. Pelé: King of Football is a new soccer experience with streamlined gesture controls with the World’s greatest footballer Pelé himself. 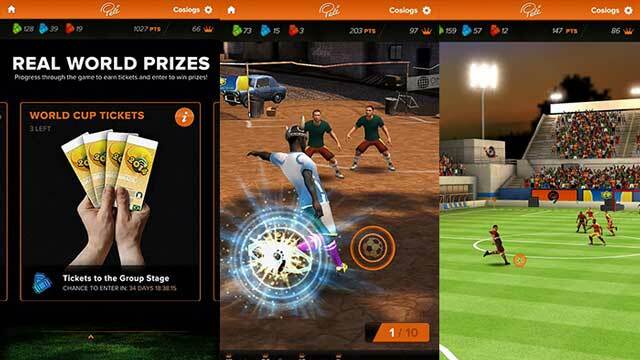 You can win the Real world Game prizes like signed soccer balls, jerseys and meet the Pelé with this virtual GamePlay. This game offers over 800 goals and challenges to complete from the backstreets to the big leagues. 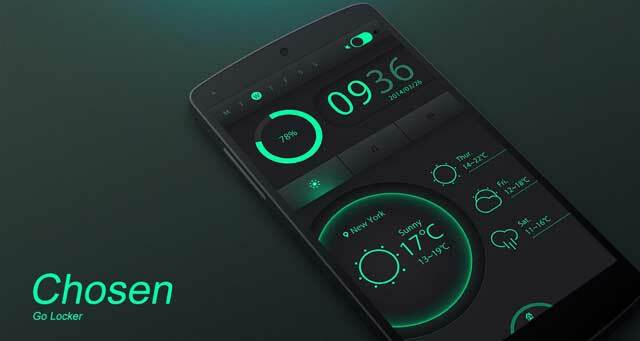 Chosen theme can be used with Go Locker personalization App. ‘Chosen Go Locker Theme’ is visually stunning and got great features. Look at the screenshot for more info. Play the Soccer Game with your car, beat your friend and show the world that you are the best car Soccer Player. 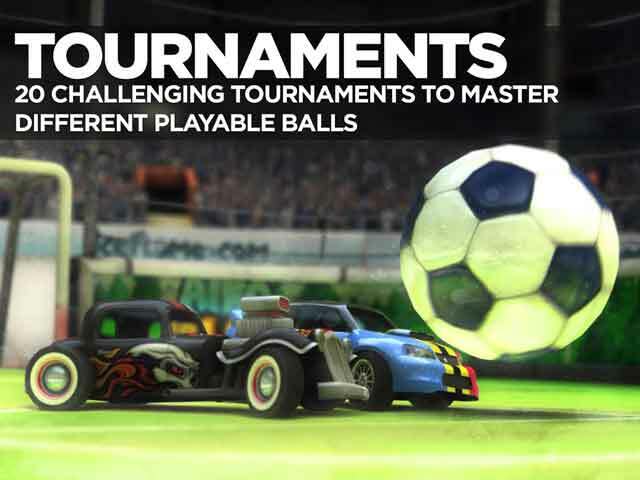 Game has 20 challenging Tournaments, featuring a variety of different balls to become the ultimate champion. You can choose 9 different cars, each differs with their performance. Hebe Music is a clean, simple and free music player. This Android Music Player supports for all common audio formats (MP3, OGG, FLAC, PCM). You can also play Android Playlists with Gapless playback for OGG and FLAC. 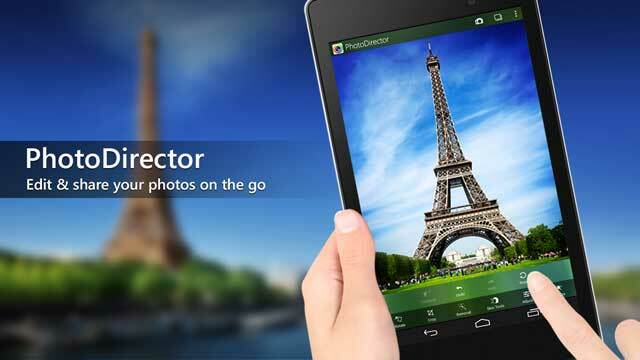 Finally, PhotoDirector is available for Android Phones and Tablets. It is a simple and easy to use photo editor, giving you the power to quickly and easily add effects to your mobile images. You can remove an unwanted person or object from your photo, adjust saturation, tweak the tone, apply one-click photo presets, or even add HDR effects, to create vivid, beautiful images on the go. You can fine tune your Photo to get the DSLR like Results easily. Microtrip is a physics arcade game set inside the body of a strange creature. Its unique soft-body physics and the procedural generated levels make the game different and challenging every time you play. The gameplay is simple, fun and addictive. To complete the task, you have to deep inside for that dodge the monsters and eat white cells to keep alive. Kill the monstrous creatures in underwater to win this game. This game is visually beautiful and attractive, you will love to play this game.Pick your submarine and use weapons and power-ups to tear through relentless creatures. It has 6 submarines, 15 Ranks and 87 missions to complete. Prepare for war! Make your tiny piece of land into an empire. You can play with multiple players online. There are 200+ Challenges in the game to play with 50+ different heroes to command. Battle Gems is another New Android Battle/puzzle game with monsters so epic.It offers Fun, Addictive and Unique Gameplay. It has 150+ fully animated monsters that should be hunted by you to finish the game. The Intimate City App allows you to connect to local places, people and events. You can ask questions about the new places you visit and answer questions with your local knowledge. Use this app to keep track of your Passport usage, collect stamps as your journey to new locations. 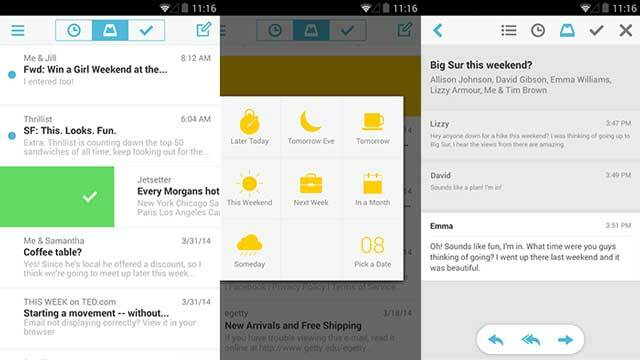 Mailbox is simple, lightweight and fast mail application. It is completely redesigned and you can quickly swipe messages to your archive or trash. Scan an entire conversation at once with chat-like organization. Snooze emails until later with the tap of a button — they’ll return to your inbox automatically so you can focus on what’s important now. Install the Dictate and forget the Typing in your Android Device. You don’t need to type a text message, an email, a Facebook post, a Word document, or anything else, again. Dictate app allows you to create or edit even very long notes by simply talking into your phone. 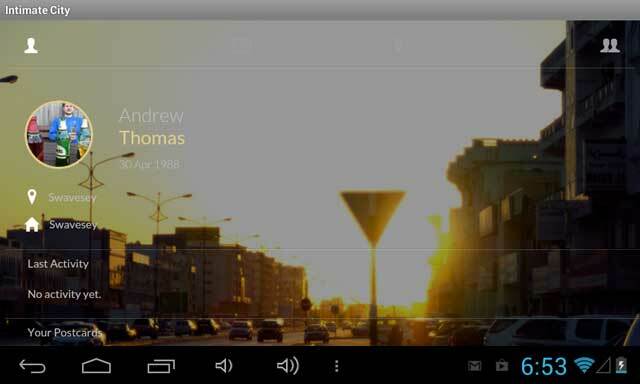 Carousel is the new gallery Android Application from Dropbox for your life’s memories. The best feature of this app is Auto back up. Your Photos and videos will be Automatically backed up in the Drop Box Cloud storage when you click the snaps. The Karrimor Elite App helps you track all your running and walking activity – providing stats on distance covered, time taken and calories used. Whether you are running for fitness; training for an event or walking for fun anyone can use the App to measure their progress and performance.